Green infrastructure can be discouraged or even prohibited by outdated, poorly worded or ambiguous codes and ordinances. Cooperation among county and municipal staff in zoning, land use, urban forestry, stormwater and engineering are key to evaluating barriers to green infrastructure in our communities. 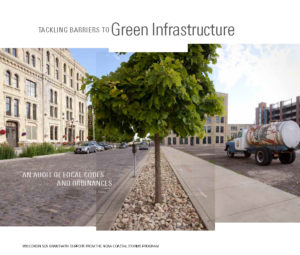 With our partners, we developed a workbook that will help communities review, revise and prioritize their local codes and ordinances to promote and advance green infrastructure implementation. Download the entire workbook or one of its main sections below. Download the entire workbook or one of its main sections. 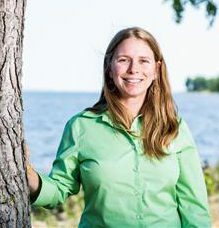 Production of this workbook was funded by the National Oceanic and Atmospheric Administration Coastal Storms Program and University of Wisconsin Sea Grant Institute. Have you used the tool? Please let us know about your experience here. Find green infrastructure-related information in our publications section.